In collaboration with M/s. 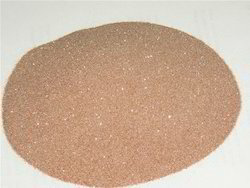 Chemco Advanced Materials, China, we supply high quality sub-micron zircon sand at very competitive prices. Please see the enclosed data sheet for more details. 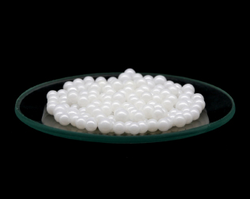 ZTA beads & balls are unique products, developed by CHEMCO expert R&D team after many years of research and tests. 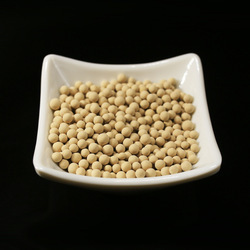 We are adopting mainly the roll granulation method for this product. CHEMCO has over 15 years experiences in this forming method. Proved by many industrial tests, ZTA is 2 - 15 times better in wear resistance than various quality high alumina ( 90 - 92 % Al2O3 ) media in the market. 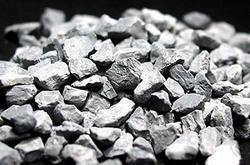 And the similar density enables this product to substitute high alumina grinding media very well. 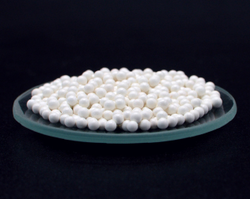 YTZP beads are made of high-grade and nanometre yttria stabilized zirconia which is proudly produced by our own facility in large and homogenous batches. This advanced precursor material guarantees excellent mechanical properties, outstanding wear resistance and good corrosion resistance. This high density bead is used to achieve maximum milling results at minimum product contamination rates. We are manufacturers and suppliers of all kinds of ceramic deburring and polishing media for vibratory finishing and tumbling applications. Material is available in all sizes and shapes including cylindrical, triangle, triangle angle cut, star etc. SZS beads are manufactured from world-class premium zircon (ZrSiO4) mineral in a special high temperature sintering process. Because of its outstanding breakage resistance and the advantageous price, this medium density bead is particularly suitable for use in large-volume agitated bead mills. We are a public limited company based out of Jodhpur (Rajasthan). We are exclusive distributors for M/s. 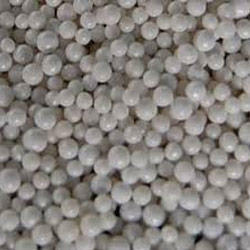 Chemco Advanced Materials, China for their complete range of zirconium beads for India, Pakistan, Nepal, Bangladesh and Sri Lanka. 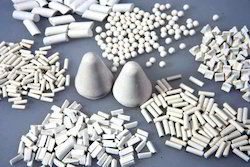 Our range of products includes Zirconia Alumina Composite beads (ZAL-27/32), which are an ideal superior replacement to glass beads as also SZS zirconium silicate beads and best in class 95% pure Yttrium Stabilized Zirconium Oxide beads. We are approved vendors for a number of big companies in Paint, Pigment, Dyestuffs, Pharma, Ink, Agro Chemicals and many other sectors.